A four-year book project by American Nicole Giladi has come to fruition with Little Red Heads Across America now on sale. Nicole's red headed baby boy surprised her as she and her husband have brown hair. A little investigation uncovered red hair in both parent's relatives. This research of her family tree coupled with regular attention from people on the street spurred Nicole on to write a children's book. I was interested to see that Birmingham City Council has included in it's anti-social 'HATE' legislation COLOUR, RACE, SEXUAL ORIENTATION etc., does this admission, diffentiation, between COLOUR & RACE open the door for victimised redheads to bring cases of discrimination on the grounds of birth colour and genetic inheritance? Interesting that the previous blog mentioned the 'genetic' factor responsible for the hair as I'm pretty sure there is some sort of legislation regarding discrimination on genetic grounds, or there is at least much talk about it. If the government too includes colour in its discrimination laws Nate should definitely have a case - if he could find a law firm willing to take it on. 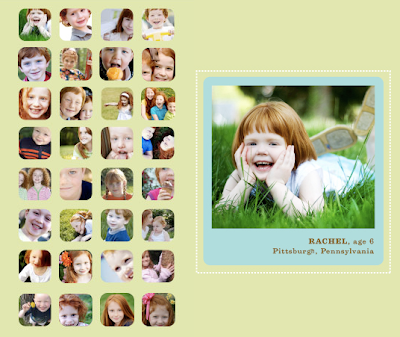 I also really like the gorgeous photos of redhead kids that have been put together in this book. Anyway, my real point is that at the bottom on each entry you have some boxes to tick so people can state if they are offended, indifferent or amused. Can I sugguest some others - 'confused' (for a lot of 'those' older entries)'intrigued' and perhaps even 'proud'. What do you think? So what is the 'gingerism' response to 'ginger genocide' in the urban dictionary and the 'ginger genocide' video which can be viewed on line? Who can really doubt that it is the 'word' 'ginger' that breeds and encourages this total contempt of 'natural redheads'. It is a pejorative putdown that robs us of our individuality and as far as the majority are concerned, of our humanity. Sometimes it's nice to see notable red heads. Baha. ditch a law...make a law..website...and lobby for redheads getting equal protection rights under the law as that other 'massive' minority of colour. All imported minorities are protected why not the indigenous one. We would love to help promote your blog as well.